This is cruising as it was meant to be — a sumptuous and very personal experience where your every wish, your every whim and your every want are met with gratifying luxuries, satisfying comfort and complete fulfillment of your wanderlust. ​Anticipate an unforgettable journey to the world's greatest destinations where everything is included, without exception and without compromise. You really can have it all aboard Regent Seven Seas Cruises®. 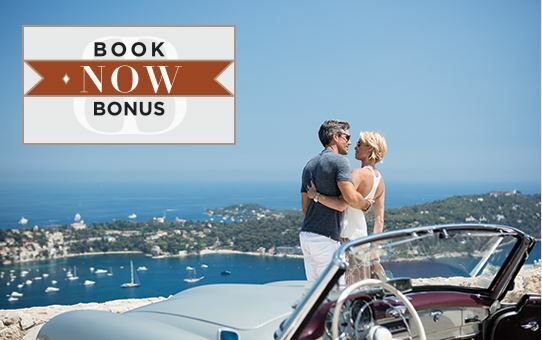 BOOK NOW BONUS, now through November 4! Regent Seven Seas Cruises is pleased to offer you not only the finest luxury cruise experience, but also the best value in luxury cruising today. Review a head-to-head price and value comparison against non-luxury cruise lines, and see for yourself how in each case Regent Seven Seas Cruises' all-inclusive luxury product is a better value.